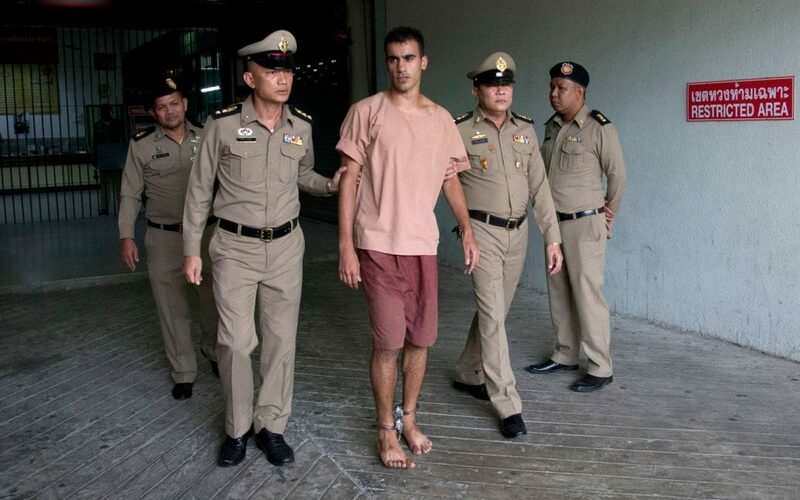 Pressure is growing on Thailand to release detained Bahrain footballer Hakeem al-Araibi. He was arrested on 27th November in Bangkok where he had travelled with his wife for his honeymoon. The wife was later released who has plead to Thailand Prime Minister and other world bodies for his release. The 25 year old defender had fled Bahrain earlier pending court proceedings for an incident about torching a police station. There was an uprising against the establishment in 2011 which resulted in several skirmishes. All though Hakeem was playing a live televised football match when the alleged incident happened. Bahrain was touring Qatar in 2013 during which he took the chance and fled while being out on bail. In his absence the court announced a 10 year prison sentence. After travelling to a few countries he was finally granted asylum in Australia and given refugee status. Bahrain authorities are seeking his extradition so he can serve time. There is serious concern about his well being if he is sent to Bahrain. FIFA had released a statement early in January calling on all the relevant authorities (in Bahrain, Thailand and Australia) to take the necessary steps to ensure that he is allowed to return safely to Australia where he can resume his career as a professional footballer. The Australian government and the International Olympic Committee are also among those who have lobbied to release Al-Araibi.